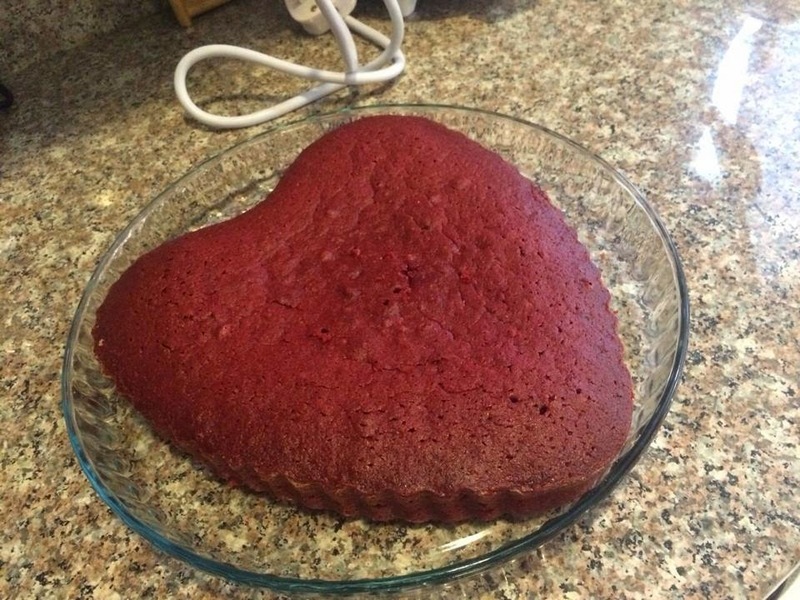 CONGRATS: I finally know how to make Red Velvet Cake, my favourite ever. I fell in love over Summer, because I’ve only ever tried okay-ish ones here in Dubai and in South Africa this year for my Summer trip. Samantha made me try the most amazing Red Velvet on earth. So THANK YOU Ana, for teaching me & Thank you Sam, for making me fall in love with it!!!!! P.S. 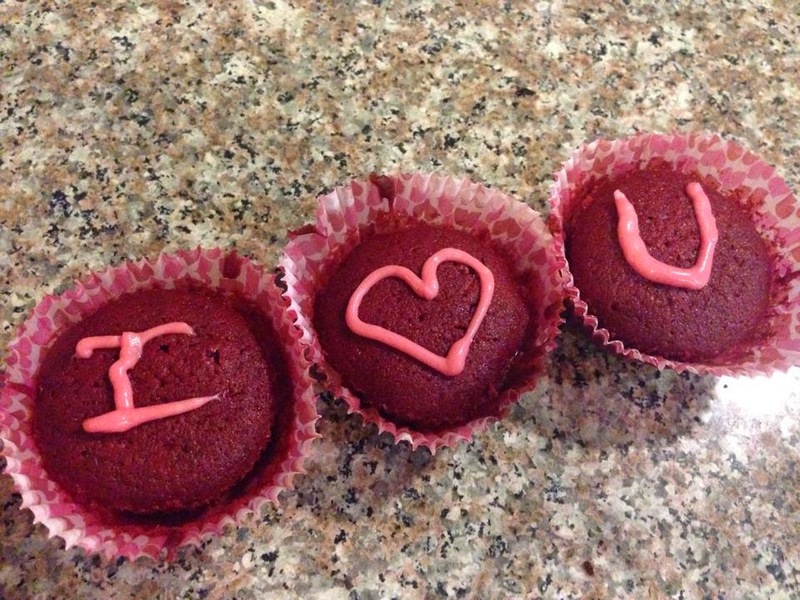 After I waited for it to be room temperature, I added the frosting and the added the writing at the end! 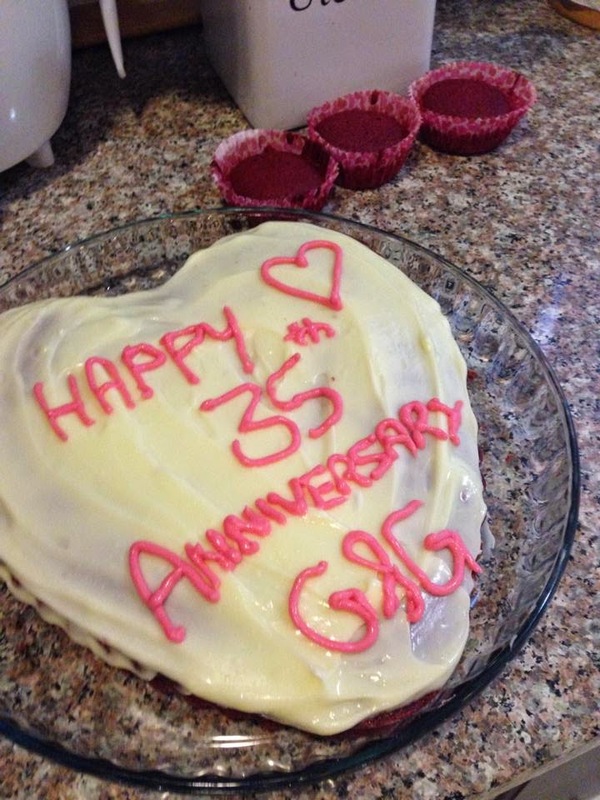 All this for: Parent’s 35th wedding anniversary! I hope you loved it!